Innerleithen lies close the north bank of the River Tweed some six miles east of Peebles and ten miles west of Galashiels. 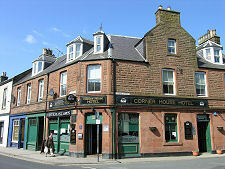 It grew initially along the line of the Leithen Water which flows south through the town from the Moorfoot Hills before meeting the Tweed nearby. 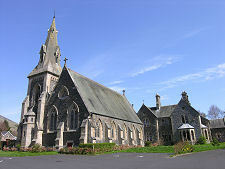 Today it is the eighth largest settlement in the Scottish Borders. In the 1700s the relatively few people living in Innerleithen made their living by sheep farming or weaving. Everything change in the late 1780s. Alexander Brodie, a native of nearby Traquair, returned to Innerleithen after running a successful blacksmithing business in London. He built Brodie's Mill, a woollen mill that still stands in Damside. Brodie's aim was primarily to provide work for local people displaced from other work by agricultural improvements, and for 40 years his mill made little money. 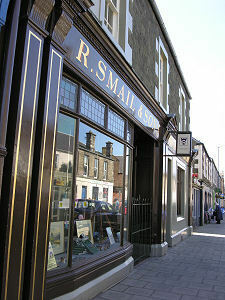 It did show that textile milling was a practical proposition in Innerleithen, however, and Brodie can be said to have brought the Industrial Revolution to Innerleithen. Other mills followed and by the end of the 1900s Innerleithen was a thriving mill town, with the industry probably reaching its peak output in the decade to 1910. 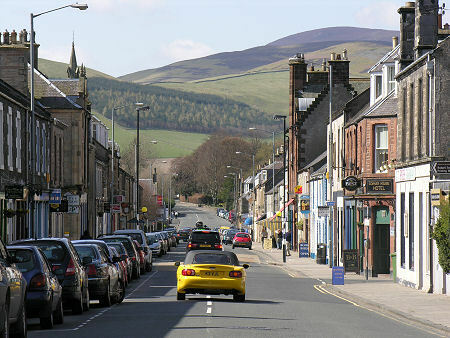 Since then Innerleithen has shared the story of falling demand and rising competition common to many textile towns in the UK, and in the Scottish Borders in particular. Three of the town's textile mills were demolished during the second half of the 1900s, to be replaced by new housing. Another mill has diversified into ceramics, and only one remains in operation, clinging to a toehold in the rather precarious cashmere market. There was another reason for the growth of Innerleithen during the 1700s and 1800s. Sulphurous springs known as St Ronan's Wells arose on the north side of the town and acquired a reputation for healing those who sampled the water. 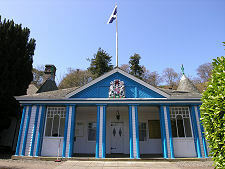 When Robert Burns visited Innerleithen in May 1787 he described it as a "famous spa". Even better followed in 1827, when Sir Walter Scott published his only contemporary novel, St Ronans Well, set in a fictional Borders spa town that many associated with Innerleithen. 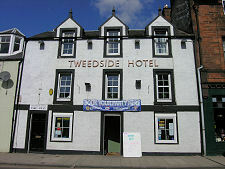 The resort quickly became popular with affluent members of Edinburgh society who came to enjoy the clean air and, of course, to take the waters. To entertain the influx of visitors James Hogg, the Ettrick Shepherd, together with other prominent literary and sporting figures such as Christopher North and Henry Glassford Bell, founded the St. Ronans Border Club. One result was the inaugural meeting of St Ronans Border Games, held in September 1827. 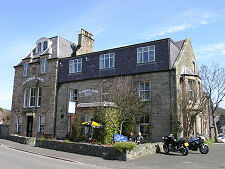 Innerleithen's success, both as a mill town and as a spa town, increased significantly with the arrival of the railway in 1866. 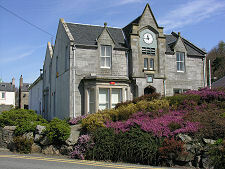 The spa was expanded, with a bottling plant being added in 1890. 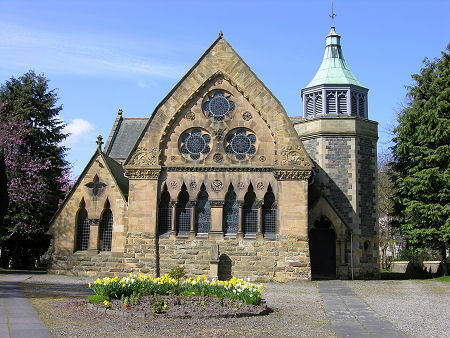 Today, St Ronan's Wells still exist, with an attractive sampling pavilion and a local history museum, both well worth visiting. 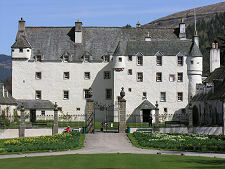 As is Innerleithen's other main claim to fame: two miles to the south lies Traquair House, the oldest continuously inhabited house in Scotland.